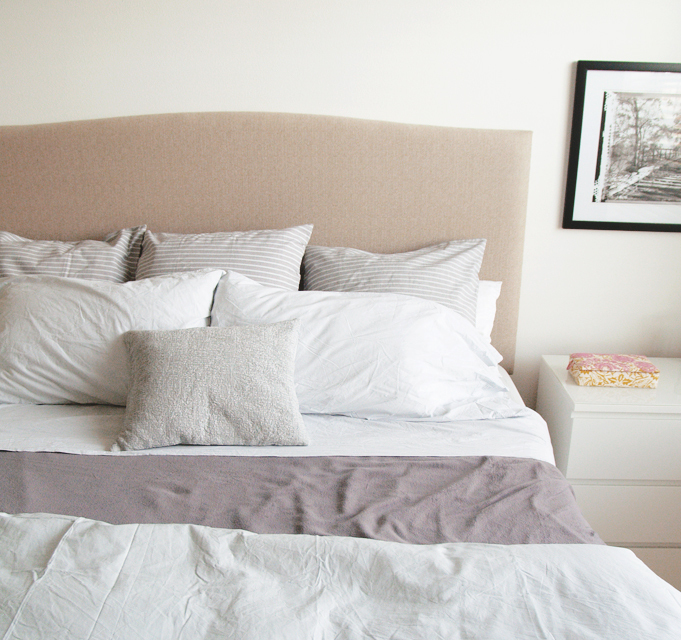 DIY UPHOLSTERED HEADBOARD TUTORIAL & REVEAL! I have been lusting over the Colette bed from Crate & Barrel for years now. After a few feeble attempts to justify spending so much cash on a bed frame, I decided to go the DIY route with the goal of keeping the project under $150. Guess what?! We did it!!! In total, I think we spent about $110 dollars on this project....but you'd never guess because it looks like a million bucks! I still need to do the nailhead trim, but I was too excited to do it when we finished upholstering the bed. I got a beautiful flax-colored textured linen on clearance for $18, my mom had the foam from a twin bed that wasn't being used anymore, and the rest was either in my dad's workroom or picked up from Home Depot. (PS Some credit card rewards programs, like mine for ex, offer various gift cards to shops like Home Depot....double check yours to see if you can cash in your points to keep even more cash in your pocket!). My super amazing and handy dad was the brains and brawn behind this DIY upholstered headboard project. Without him, I would likely have a headboard that isn't measured right or straight! 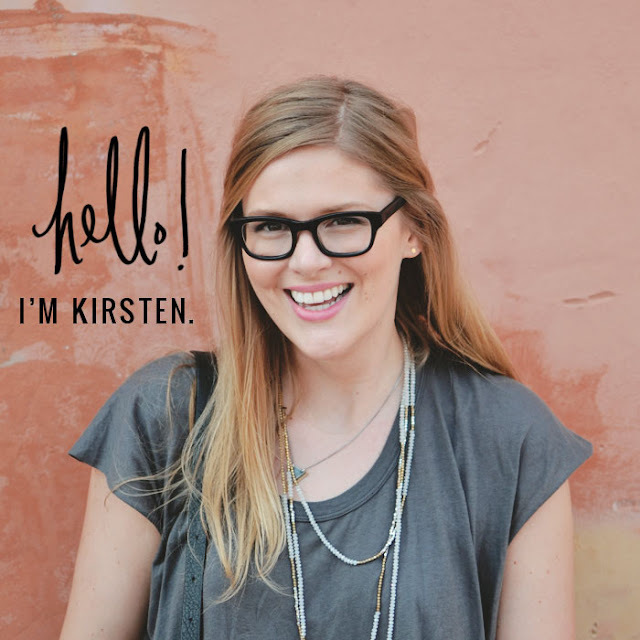 Anyways, grab a DIY-savvy friend and give this easy, fun, and economical weekend project a go! 1. Determine the size, shape, and height of the headboard you want. 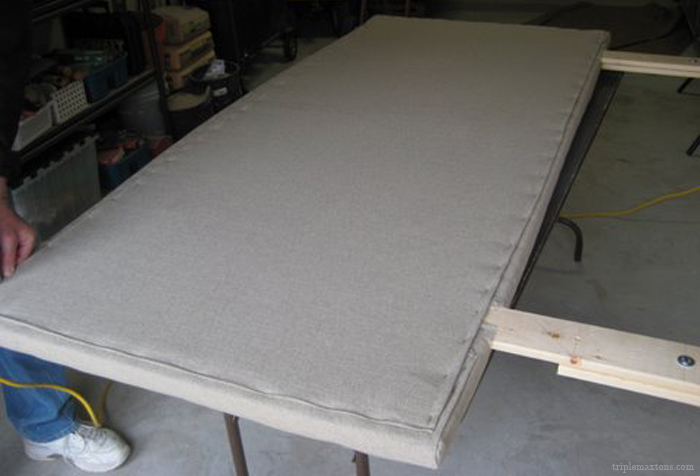 For our king size headboard, we chose to do a soft camelback hump in the middle to give it some extra 'oomph'. Our measurements were 36"H (at hump w/ 2" taper at edges) x 78" W. Cut the plywood in the shape you want, and sand the edges to get rid of any possible splinter situations...trust, blood is the last thing you want splattered all over your wood and fabric! Double ewww. 2. Our bed is raised on 7" risers so we can have a little bit of storage space underneath. Just in case we ever want to lower the bed to normal height, my dad did a little bit of brainstorming and came up with a great solution to make the legs fully adjustable. Measure out the max and min height you want the bed to be - in our case, that was the standard 24" low and 32" high. Cut a piece of the 1"x4"x8 lumber to affix to the back of the bed so that it extends 24" below the bed frame. Drill it to the back of the frame, and then drill 2 holes in the extended portion - one at approx. 10" below the bottom of the bed frame and 2nd hole near bottom of that same leg. These holes are where the bolts will go. 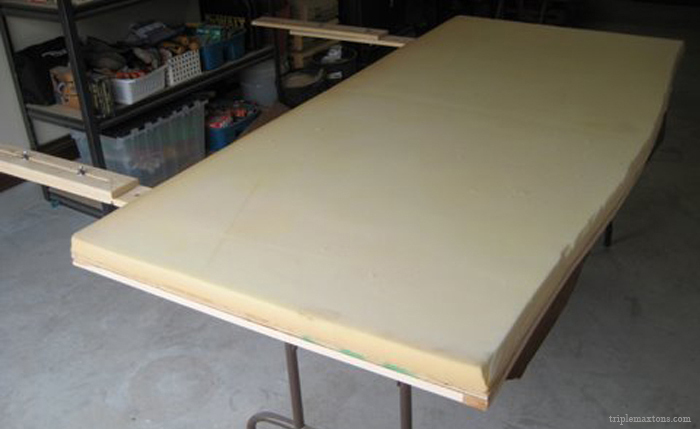 The second board will be the 'adjustable sliding board', and will be 24". Take the adjustable leg and drill a hole in the center of it (4" from top and 4" from bottom). Cut a narrow slit using a jigsaw in between the two holes that will allow the adjustable leg to move up and down. 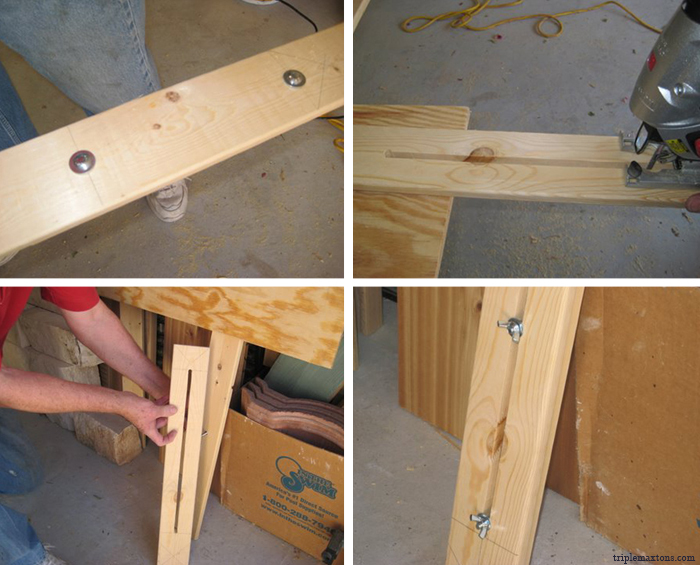 Place the adjustable sliding board over the affixed board at your desired height, and secure the legs together tightly with the bolt, washer, and wingnuts. I hope I am making sense! 3. Since the wood is only 1/2" thick, it will look a bit too thin and DIY if you simply cover it with the foam, batting and fabric. You also don't want the leg brackets sticking out and rubbing up against the wall. Frame out the bed using your 1"x4"x8 lumber. The bed should now be about 1" thick, and all the parts on back should be flush with each other. 4. 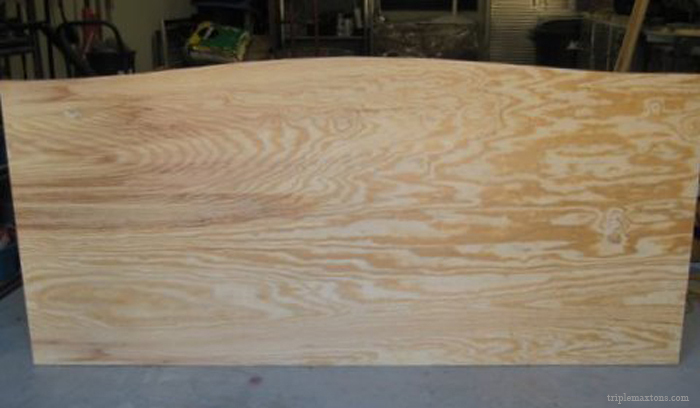 Dust off any saw dust, and spray the mounting adhesive to the front of the plywood. Place the foam on top, and pat down to make sure it is glued down everywhere. Let dry for a few minutes. 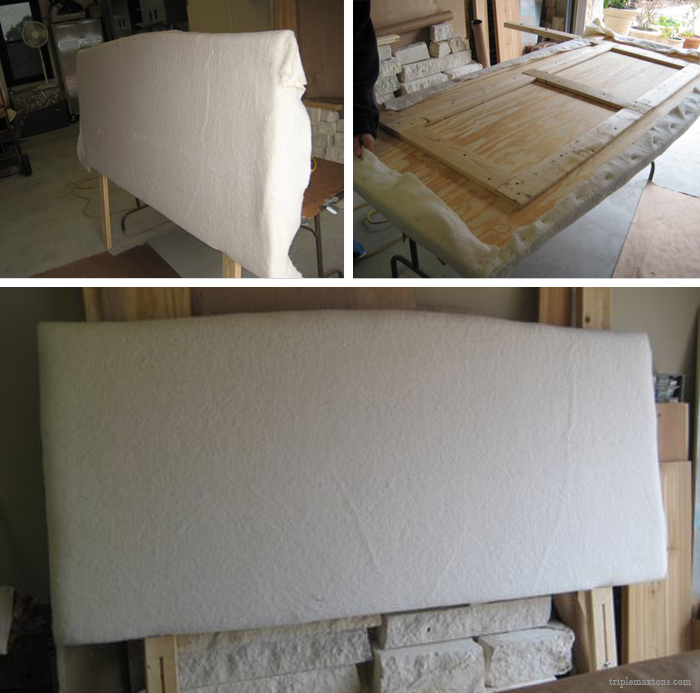 Using scissors or a blade, carefully trim the foam in the shape of the headboard. 5. Lay the batting over the front of the headboard. Try and get the batting as smooth as possible, and carefully flip the headboard over so the back is now facing up. Gently tug and staple the batting into the wood. Trim off any excess. 6. Now, this next step is where neatness really counts. 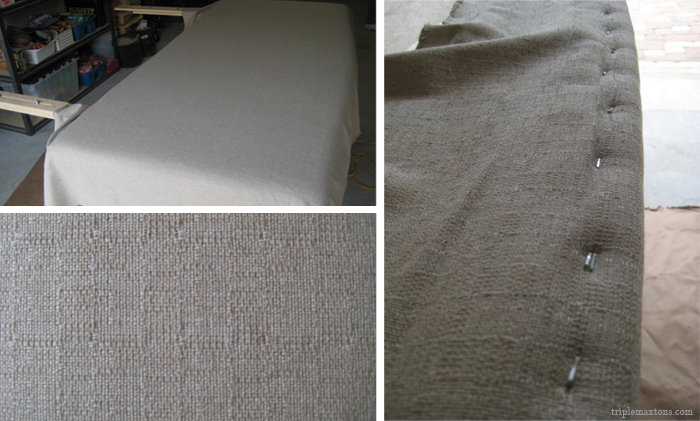 The neater and smoother the fabric, the more professional it will look. Lay the ironed fabric over the front of the headboard. Try and get is as smooth and centered as you can. Flip the headboard so it is standing up straight, having on person holding the front. Starting on the top, gently tug and staple the fabric into the wood. Make sure you are applying even tension to each tug to avoid any bulges in the foam/batting or warping the fabric. We did the top, then bottom, then sides of the headboard. In terms of stapling each side, we did the first staples on either side and worked our way to the center. Neatly fold each corner so there is no puckering, and staple in place. 7. 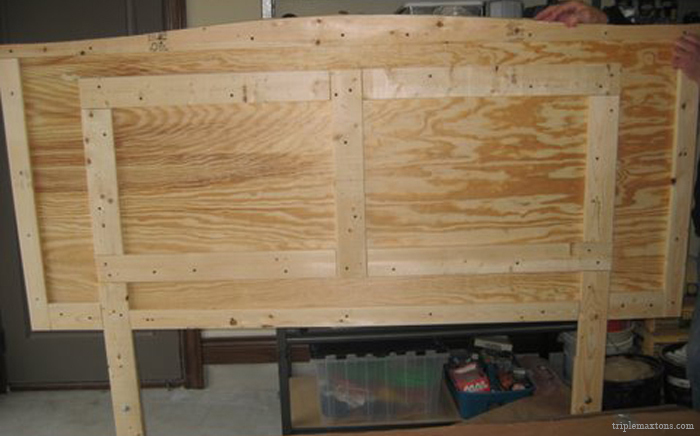 Finish your headboard by covering the back. I had tons of fabric left over so I just used that, though you might want to use a cheap cotton muslin if your fabric is pricey. Cut the fabric in a square with about an extra inch left over to fold. Fold the edges of the fabric inward so you have a clean and straight edge, and staple in place. VOILA!!! You now are the proud owner of your very own custom headboard. Next up is embellishing this beauty with some antiqued brass nailhead trim (and getting some much needed table lamps). I added nailhead trim to the headboard, and it looks 1000000% better. Check it out HERE. Amazing DIY tutorial! I have a white tufted headboard and am getting ready to dye it red.....wich me luck!!!! Looks fab! I love fabric headboards...makes things so much more cozy! This looks amazing!! I've always wanted a headboard like this but they're super pricey. Super cute bedroom! Where did you get the foam? It was from queen bed we used to have. You can get the foam at Walmart, Overstock.com, etc....don't need the fancy and expensive memory foam kind either. Just plain ol' foam. Since your headboard was not a perfect square how did you get the fabric to lay so straight without any puckering? It's a pretty gentle slope, so we didn't really have many issues with puckering. We started nailing in the center, then pulled and adjusted the fabric as we worked out way out. The most important thing to note is when you are pulling the fabric taut, pull it evenly to avoid lumps at the edges. I think it's a textured cotton blend - I got in on clearance, so I'm not sure the exact type of fabric since there weren't tags. This is JUST beautiful. LOVE the camel back. Was going to make it easy on myself and go square, but why? this is so much prettier! Great tip on adding the 1x's on the back to make the whole thing more substantial. It's one thing making it DIY, and another to LOOK DIY!!! well done! Where did you get your bedding? I love it. You did a great job and I think I am going to try this project! Also, did you cut the wood yourselves to have that curve or does home depot offer that? Thanks! It was a super lucky DKNY score from Tuesday Morning - think it was part of a discontinued organic line they did. My dad cut the wood....pretty sure HD will only do straight cuts, but you might want to check on that since I knew my Dad would be cutting ours.